Texas Drinking Water Systems was founded in 1989. For nearly three decades, we have been providing safe, filtered, and excellent quality water to thousands of customers in the North Texas area and around the country. We believe it is important to be laser focused on the foundational aspects of business: integrity, expertise, exceptional service, relationship building, and reasonable prices. We are a no-pressure company. We don’t sell a “one-size-fits-all” option, and we don’t push unnecessary products or services. We wouldn’t want it done to us, so why would we do it to you? After testing your water, we will offer you options based on your specific needs and concerns, while considering any financial constraints you may have. Come visit our storefront to meet the team and learn why thousands of customers in the DFW Metroplex have trusted us with their water needs. Let us help you achieve clean, pure water for your home or business. We look forward to meeting you soon. 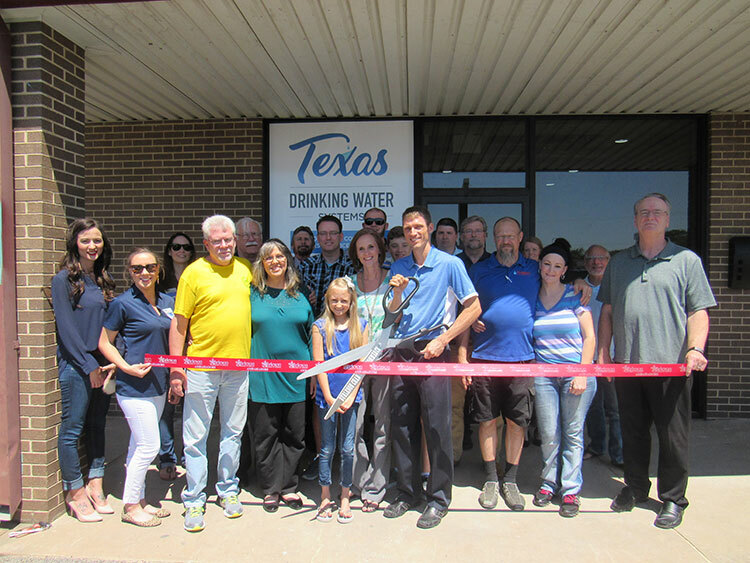 Texas Drinking Water Systems is the premier “Water Destination” in Burleson, Texas. 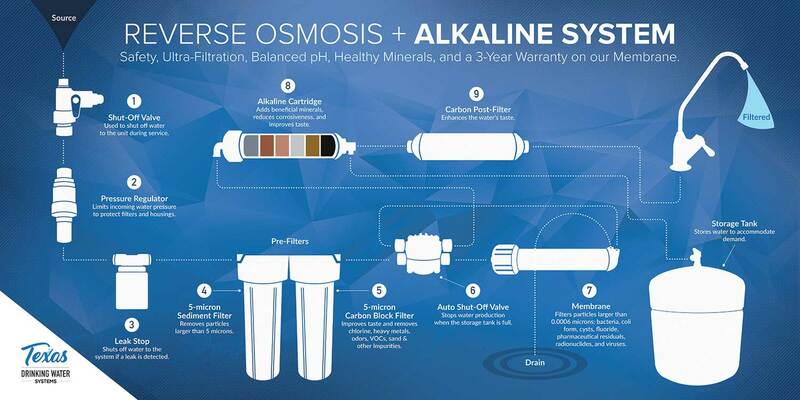 We handle everything from purified alkaline drinking water to commercial water treatment and everything in between. We have a 24/7 outdoor dispenser for both purified and alkaline water. Click here to see how it’s done. If you come inside, we will help you fill your water bottles and carry them to your vehicle. We are also an authorized Enagic® Kangen® distributor. *Please note that our business started in 1989, not 1983 as the article stated.